At the Ellis Eye & Laser Medical Center Dr. Ellis has personally selected the finest technology and equipment to ensure the best possible outcome for your vision correction. Dr. Ellis’ training as an Electrical Engineer (U.C. 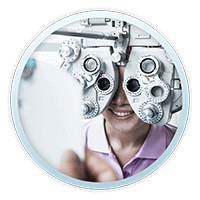 Berkeley) as well as an ophthalmologist (Stanford), and over thirty years of experience in performing refractive surgical procedures lends credence to our guarantee of the best technology. Although we can’t list all of the equipment we use, below you will find selected highlights of our technology. The Bausch & Lomb company has been helping people see better for a very long time! This company has been on the forefront of vision care for many years and continues to advance the science of vision correction. The Technolas 217 excimer laser is an excellent laser for LASIK surgeons and has recently been upgraded for Zyoptix Wavefront correction at 100Hz. Dr. Ellis and the Ellis Eye & Laser Medical Center feel that this machine represents the highest level of technology presently available. The Bausch & Lomb Technolas ® 217z Zyoptix™ System for Personalized Laser Vision Correction is the world’s leading excimer laser for personalized vision correction. Its innovative “flying spot” technology produces an extremely smooth corneal surface. The Orbscan IIz topographer analyzes the physical shape/contours of your cornea and allows a surgeon to decide if it has a suitable shape, is healthy and thick enough for treatment. It is the only topographer currently available that measures the shape of both the front and back surface of the entire cornea (other systems only measure the front surface) and can therefore provide a complete picture of the thickness of cornea. The Orbscan IIz is able to provide such high precision information as it captures data within seconds from 9000 points on the cornea during each measurement. In a world of rapidly changing technologies and applications in refractive and corneal surgery AMADEUS II is and remains a proven value, offering surgeons a platform that serves all their needs and allows them to stay abreast of evolving technologies. AMADEUS is a viable and dependable alternative to femtosecond laser technology for many types of refractive and corneal surgery. When used to create a 30 micron thick Epi-LASIK flap the AMADEUS™ II uses a bladeless procedure. The epithelial separator creates the Epi-LASIK flap in a non-traumatic fashion. These bladeless flaps are truly ultra-thin, measuring only 30 microns in thickness in contrast to conventional Intralase and standard microkeratome flaps. 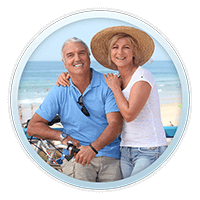 Dr. Ellis is of the opinion that the ultra-thin Epi-LASIK flap created by the AMADEUS II provides the finest results in wavefront or conventional LASIK. This is also an excimer laser and is designed to reshape the cornea for PRK/LASIK to reduce or eliminate myopia/hyperopia with or without astigmatism, and PTK. 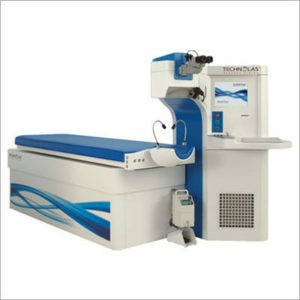 The features include an innovative scanning technology to realize a uniform ablated surface with the highest precision. 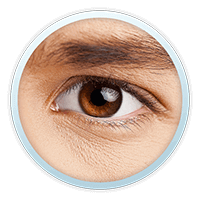 It allows the procedure to be done by removing minimal amounts of corneal tissue. This may be extremely important in high myopes. In contrast to other lasers removing 20 microns of tissue per diopter of myopia corrected the NIDEK EC-5000 only removes 12 microns of tissue per diopter giving the surgeon more flexibility, especially with thinner corneas and higher amounts of correction. For this reason high myopes who may not be a candidate for LASIK with other excimer lasers may find that the NIDEK EC-5000CX Excimer Laser can perform their procedure successfully and still leave enough residual tissue in the corneal bed to provide a significant margin of safety. 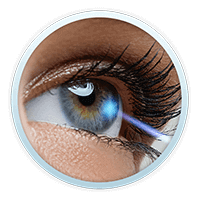 At Ellis Eye & Laser Medical Centers we offer a choice of lasers. For most patients the Bausch & Lomb Technolas laser with Zyoptix provides the best opportunity for a successful correction, however, for patients with thin corneas or high myopia the NIDEK EC 5000CK may be the laser of choice. 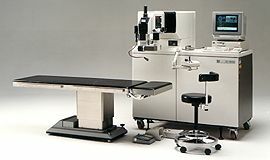 When shopping for a LASIK surgeon it is important to choose a center that offers a variety of equipment and procedures. Only practices specializing in laser vision correction will have the ability to provide a wide variety of choices. When questioning laser centers make sure that they are NOT a 1 laser shop. 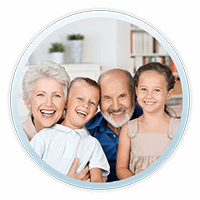 Each Zyoptix assessment involves an extra diagnostic (screening) process in the ZyWave Abberometer to allow Dr. Ellis to better analyze the optics of your visual system and to better select the most suitable treatment for you. 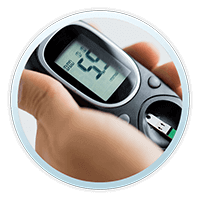 The Zywave abberometer measures your complete optical system with the use of wavefront technology. From this measurement, Dr. Ellis receives highly detailed information concerning your prescription and whether there are higher order aberrations within your optical system that can lead to the degradation of the quality of your vision. This Zywave assessment is used to create a computer disk unique to your optical system which will guide the excimer laser to perform the best possible correction.